I took a little break from skimo racing this weekend and ventured to Fruita/Loma for the Desert Rats 25 mile trail running race. 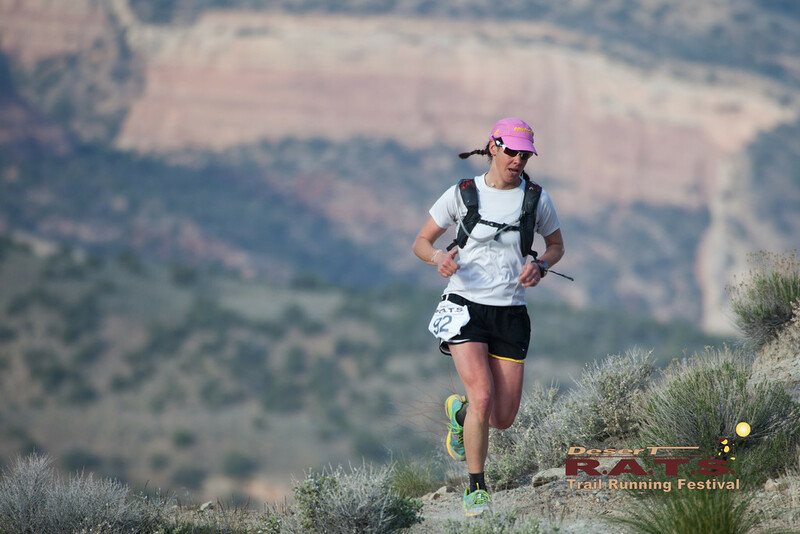 Taking advantage of the great technical singletrack of the Kokopelli Trail, racers can choose from a 25 or 50 mile race. Two years ago I decided the night before to race the 25 miler and suffered through much of the race. This year I have had a much more consistent winter of racing and training and actually signed up for the race a few weeks in advance. As Elinor Fish and I made the drive very early this morning, we discussed how we would like to break the 4 hour mark. 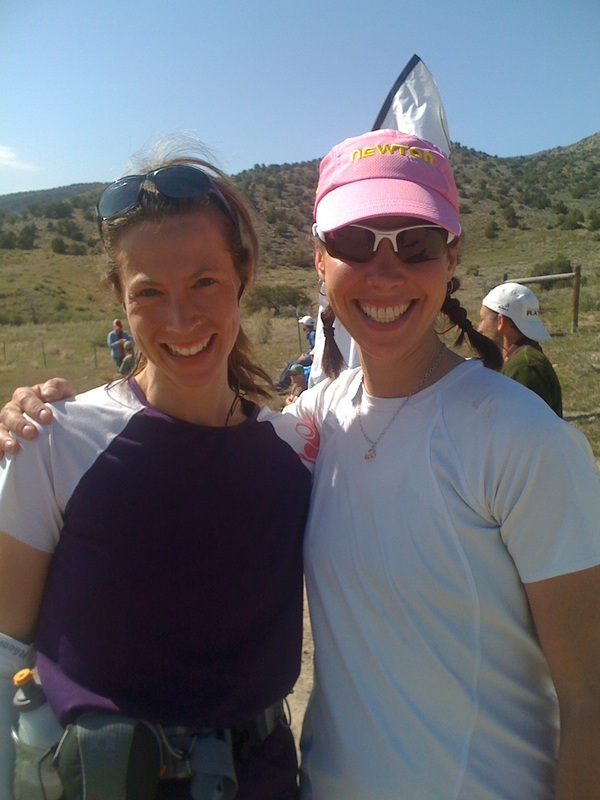 Elinor raced last year and finished in 4hr 17min while I had finished in 4hr 13min two years ago. Telling myself I was not going to start too fast and blow-up like I did last time was easier said than done. Elinor and I stayed with each other chatting over the first few miles in order to keep a brisk but comfortable pace. Helen Cospolich (racing the 50 miler) and Anita Ortiz (also racing 50) were just ahead of us with fellow Carbondale runner Ashley Arnold out in front. Throughout the next 15 or so miles, I kept a consistent pace and ran many miles with Anita. Anita is coming off an injury with this just her second race back. Any other day, there’s no way I would be running with her even when I’m running half as many miles. I was very relieved that I was feeling tens times stronger at this point than I had last time and was ahead of my previous pace. I passed the 18 mile mark where I fell apart two years ago and felt myself getting stronger. Once off the Troy Built Trail, the largest climb looms ahead up to Mack Ridge and the final miles. Last time I think I ran 20 steps of the climb. This time I ran it all. Managing to keep the same average pace I had all race, I finished very strong along Mack Ridge and back along the road. Not only did I break the 4 hour mark, I finished in 2nd place behind Ashley and managed to beat all the 5o mile women to their turnaround point (something I did not do last time). My time was 3hr 42min 33sec over the 25.92 miles. Elinor finished in 3hr 56min. The top 3 women were all from Carbondale! Anita Ortiz went on to win the 50 miler in 8hr 16min while Duncan Callahan won for the men in 7hr 38min. My Garmin info can be found here. And full results here. Awesome job! You’re a real inspiration for runners everywhere and everyday people who do this AND hold down a job! AND have a husband AND two kids AND a high maintenance dog! Looks like next year it’s 50mi for you 😉 Congrats! Strong Spring start which leads to fabulous Summer racing.